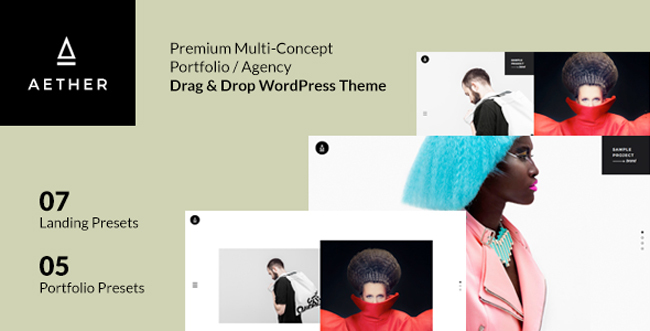 This a modern portfolio Darg & Drop WordPress Theme (powered by Visual Composer) designed with focus on your portfolio presentation and exposure for your creative projects. This WordPress theme is perfect for building a beautiful creative portfolio / agency / modern business website without much efforts. It includes multiple concepts of landing pages and various portfolio combination & presentation options. Don’t miss the live preview. – 7 Unique Landing Pages with unlimited customization possibilities. – 5 Stunning Portfolio Layouts with extensive grid / masonry options for flexible customization. – 2 Single Project information pages to adapt your content. – Unique Split Scroll / Dual Panel layout included.